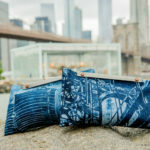 Holly E. Brown, founder and owner of Clockworks Press™ is a Brooklyn-based artist specializing in collagraph printmaking. 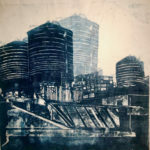 Inherently, drawn to architecture and strong black and white photography she uses her iPhone as a portable sketchbook. These images are then drawn on the surface of a recycled fiberboard and hand carved over many hours. 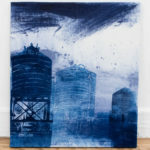 Through a reductive process of tearing layers she creates a range of values. 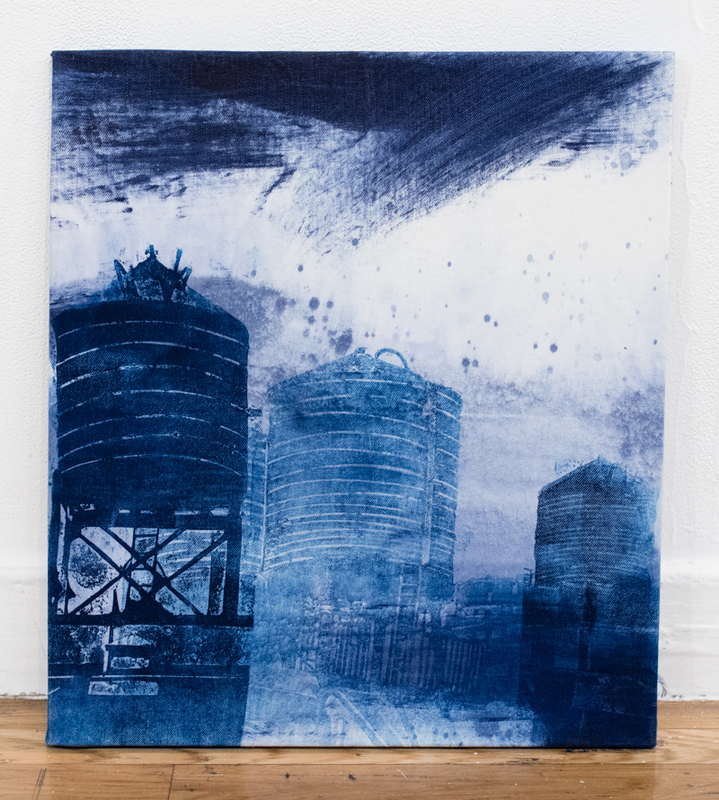 With eco-friendly practices already in place in her studio, it was during Holly’s solo show at Ray Brandstore (2016) in Delft, Netherlands that the idea of printing on re-purposed denim came to fruition. 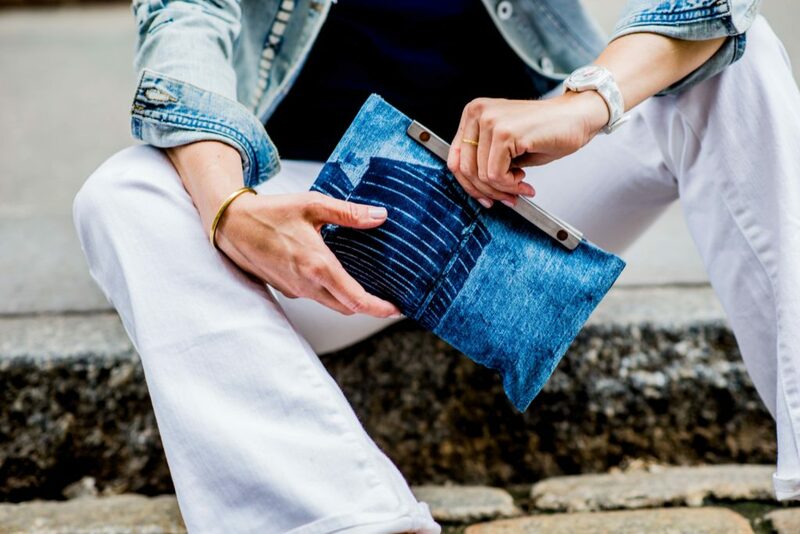 Taken with the idea of creating a portable print she developed her first product, “The Denim Clutch” which launched at New York Denim Days, September 2018. 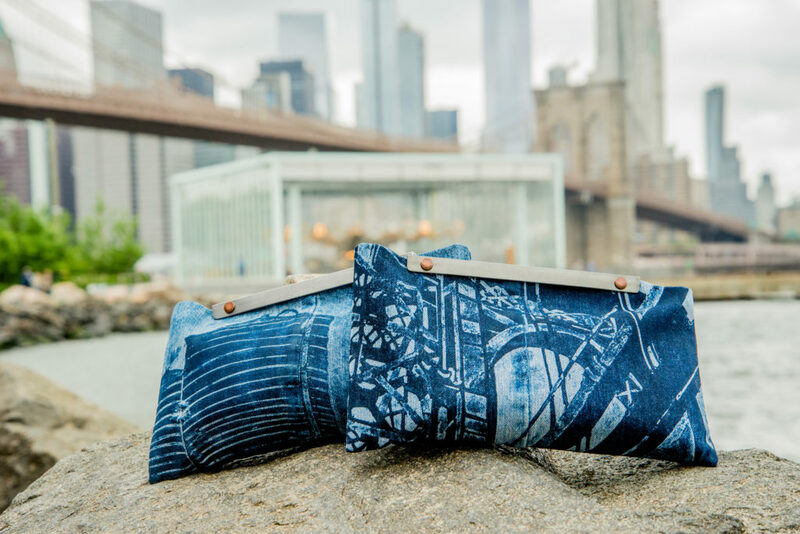 Printed in a limited edition on recycled jeans and fully manufactured in NYC each bag is unique and sustainable. 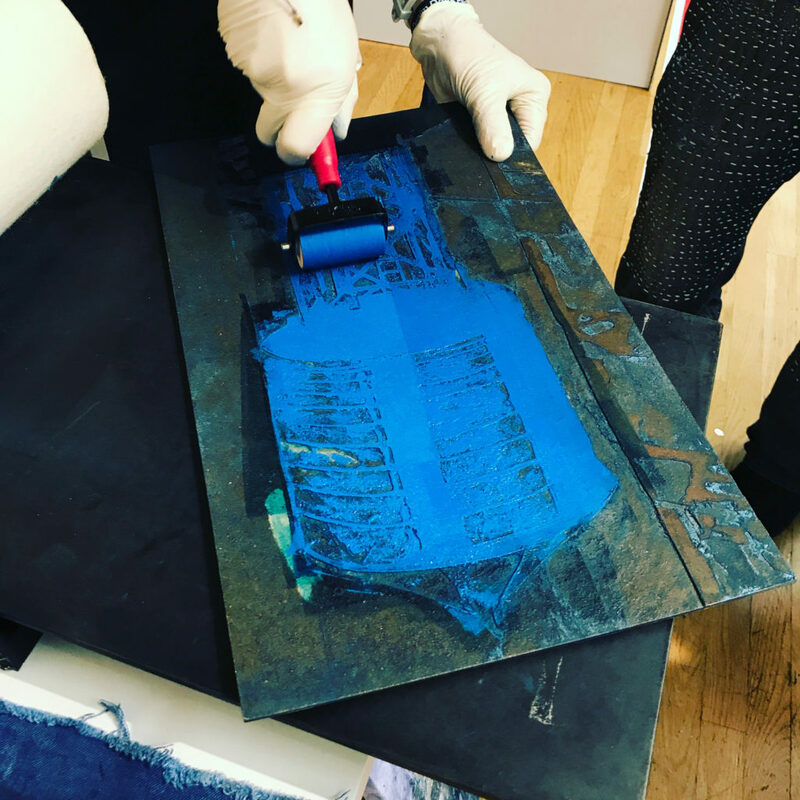 Holly has been working closely with Officina 39+, a sustainable dyestuff company in Italy to use a pigment made from textile production waste in combination with Speedball fabric inks. 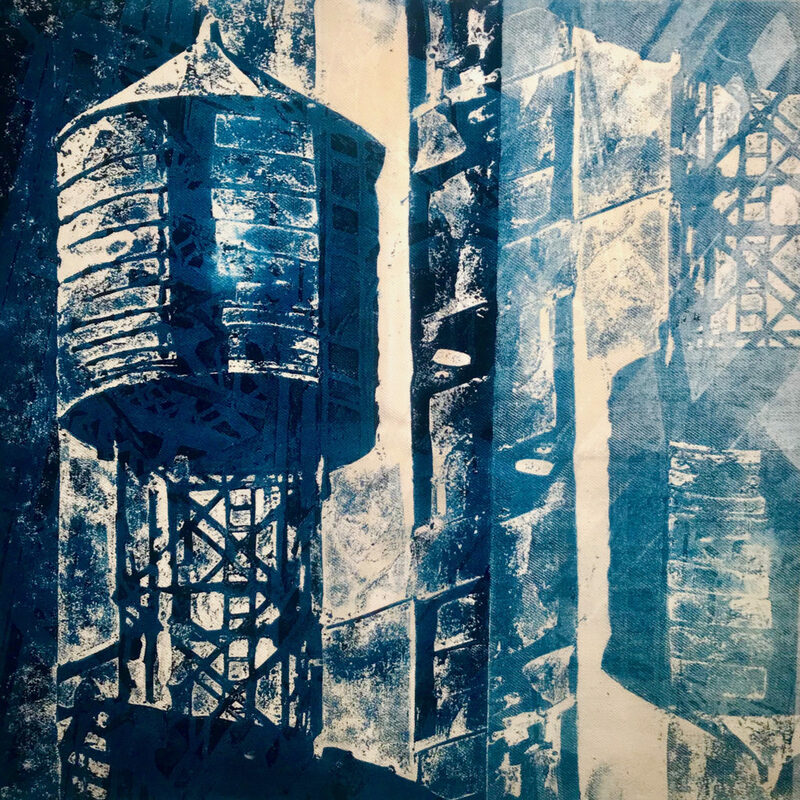 Holly’s etchings can be found in the permanent collections of The Library of Congress, Yale University and Princeton University, among others. 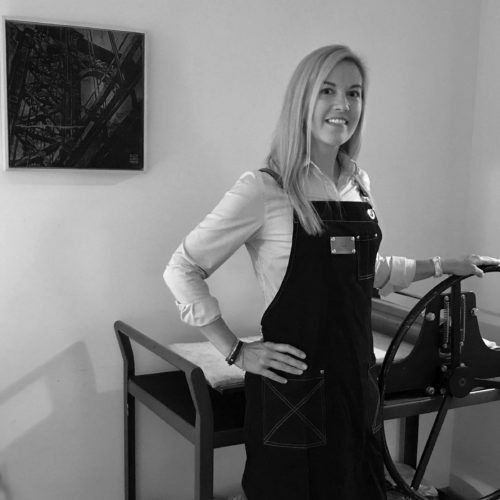 Holly teaches visual art at Convent of the Sacred Heart, NYC and printmaking workshops at Atelier Indrukwekkend, Delft, Netherlands. 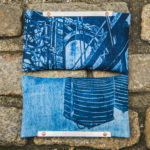 Speedball Fabric Block Printing Ink is my go-to for printing on textiles. 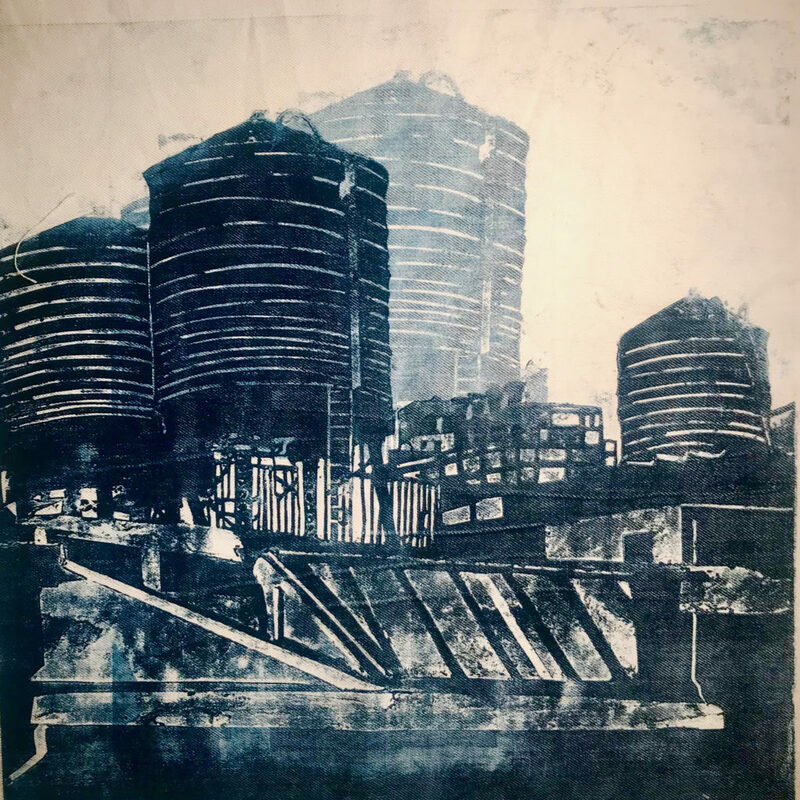 With a wide range of colors and the transparent base, I have been able to use the ink in combination with a pigment made from textile production waste. It’s eco-friendly cleanup of soap and water align beautifully with my studio practices. In addition, I have been using Speedball rubber brayers for over 20 years and find them to be economical and versatile for the professional studio and the classroom. 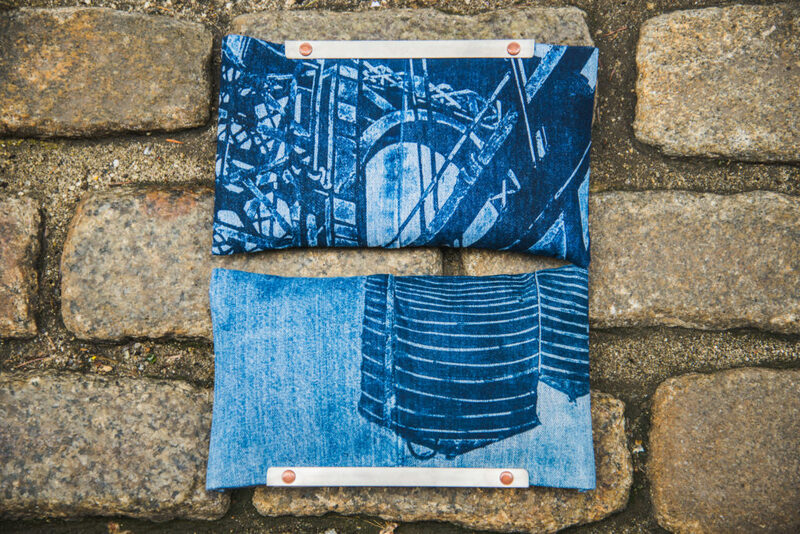 With a wide range of sizes they are ideal for working in any scale.